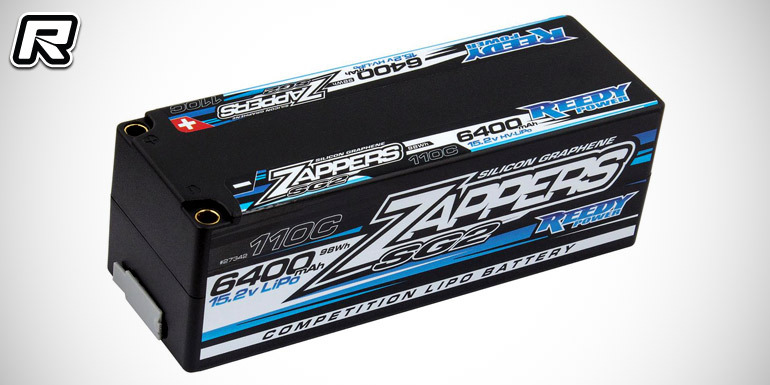 Team Associated have announced the released of the new Reedy Zappers SG2 competition LiHV 4S battery packs. 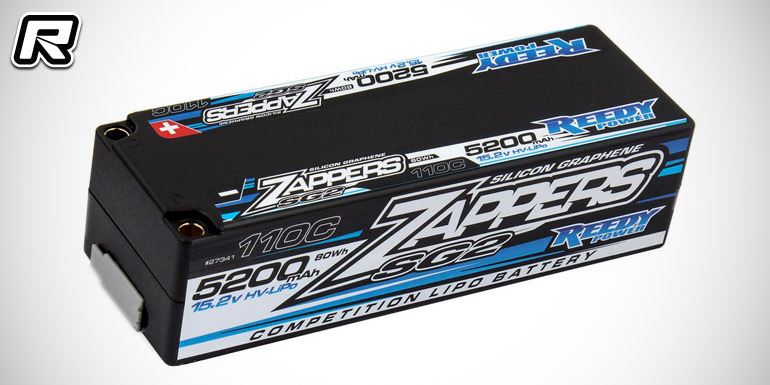 Zappers SG2 batteries continue to utilise silicon-graphene construction but with an emphasis on reducing internal resistance and increasing cycle life. They also feature HV chemistry, which means that with a suitable charger, the battery can be safely charged to 4.35V per cell. However, even when the typical 4.2V per cell charging limit is enforced, the batteries still offer advantagew thanks to a flatter discharge curve, which results in more voltage deeper into the race. The batteries are available in two versions: as 5200mAh low-profile variant (138×46.8×38.2/472g) for improved handling and as 6400mAh high-capacity (138×46.8×47.5/542g)for conditions that require maximum run time. A high-quality durable hard case helps prevent damage while embedded socket connectors keep power-robbing resistance to a minimum. Male ESC connectors and a 4S balance lead are included.